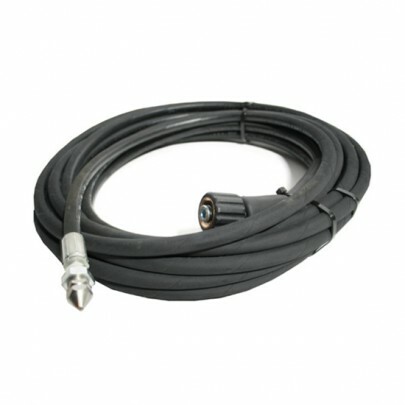 20 meters of drain jetting hose comes complete with nozzle and fittings so can be connected to a trigger or directly onto high pressure hose. This is a complete kit. There are 2 nozzles to choose from with this kit. You can either go for 1 forward and 3 back or 1 forward and 8 back.